So, you’re new to camping. Let’s start you off slowly, since you don’t want to forego your city luxuries like showers and hot meals. 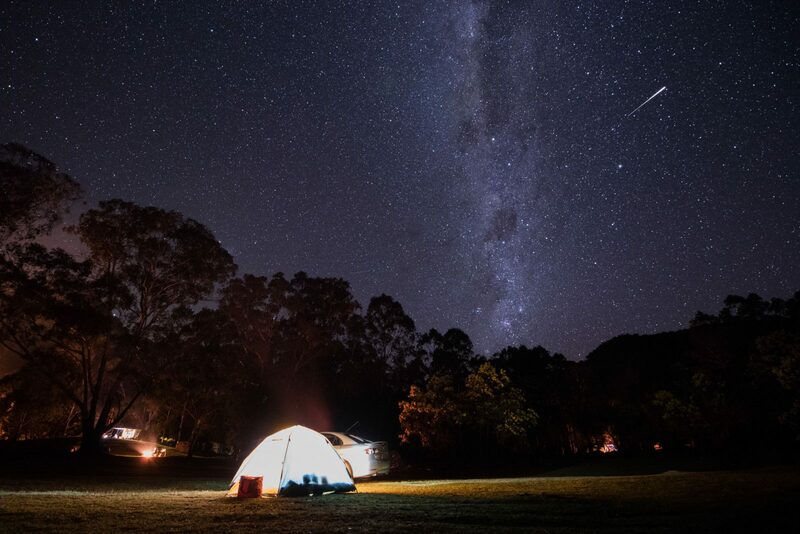 The Basin campground is a staple for Sydneysiders who love being near the beach and under the stars but without roughing it too hard. 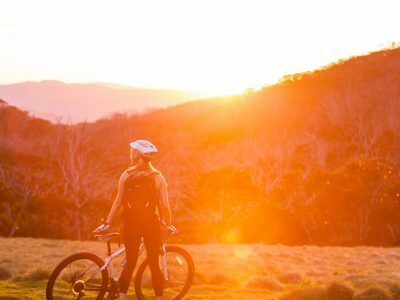 Just shy of two hours from the city, it’s super convenient, plus it’s got killer beaches and walking tracks that’ll shape up your pins in time for summer. 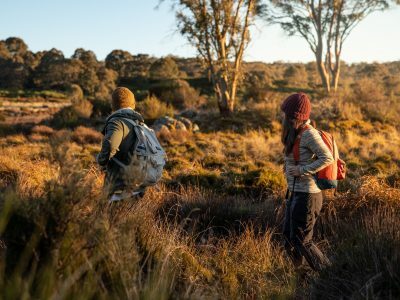 Got a day up your sleeve and itching to make the most of your time up North? Hit up Barrenjoey Head across the pond for the lighthouse and the unbeatable views over Palm Beach. It’s a 45 minute ferry ride each way and you’ll want to leave plenty of time for exploring the lighthouse path. Summer Bay starlet spotting not guaranteed. No car access so park on West Head Rd or catch the 20min ferry which leaves from Palm Beach Wharf. If you don’t have a car, but you are super keen, you can catch a bus to get to Palm Beach Wharf. 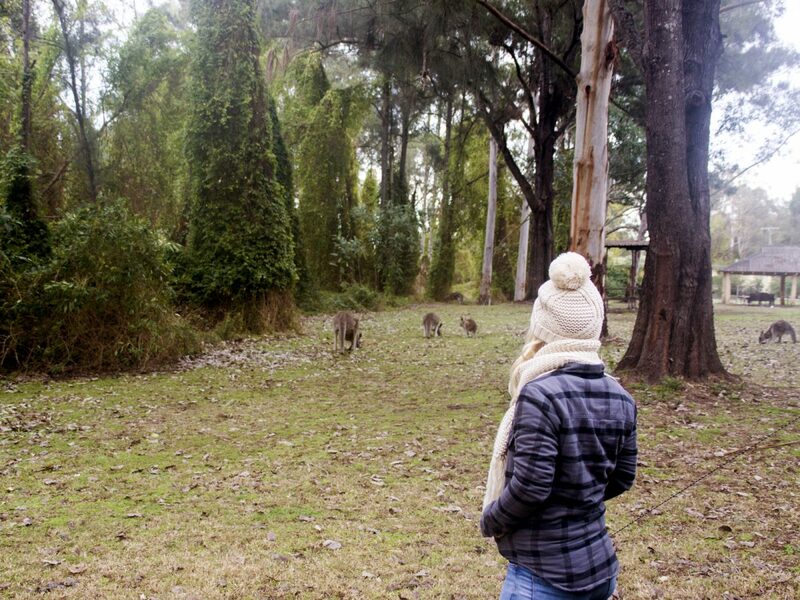 Possibly the best thing about Euroka campground in Blue Mountains National Park is its gang of adorable grey ’roos. They’re friendly, so you can even take a few snaps of them while you’re listening to kookaburras and cooking your snags in the late arvo. What’s more beautifully Aussie than that? 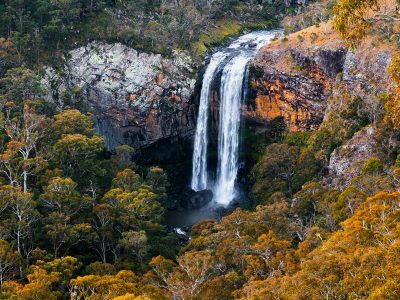 The campground is walking distance to Nepean River, which you can swim in, and the nearby Tunnel View lookout offers unmissable views. No surprise, Euroka’s incredibly popular, so book your campsite in advance (you can book up to a year ahead). Ranger Tip: Resist the urge to pat and feed the native wildlife. We know they look cute but feeding them encourages scavenging behaviour. Read here for more info on why we should keep wildlife wild #dontfeedit. Sometimes you get that email or text or notification that just pushes you over the edge. “I need to stop looking at my phone so much,” you say. A likely story, we say. 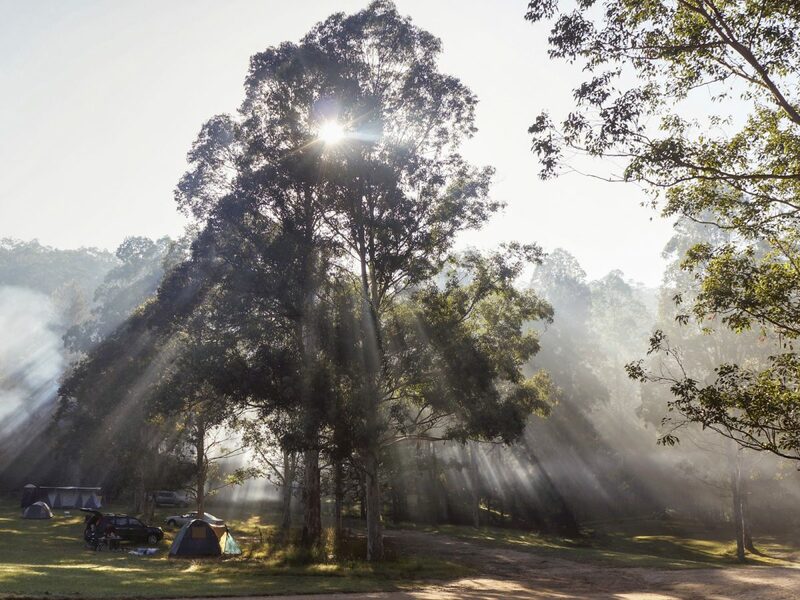 But if you’re serious about unplugging, Kingfisher Pool campground feels about as far from civilisation as you can get but it’s actually close to Sydney and just a few kms from Waterfall station. There are limited facilities here (picnic table and a toilet, phew! ), but you’ll need to BYO water, ready-made cuisine and shelter, and be okay with going bush. The perk: your very own natural ‘pool’, fringed with Gymea lilies, tea trees and waxflowers. Beach, cliffs, forest – need we say more? 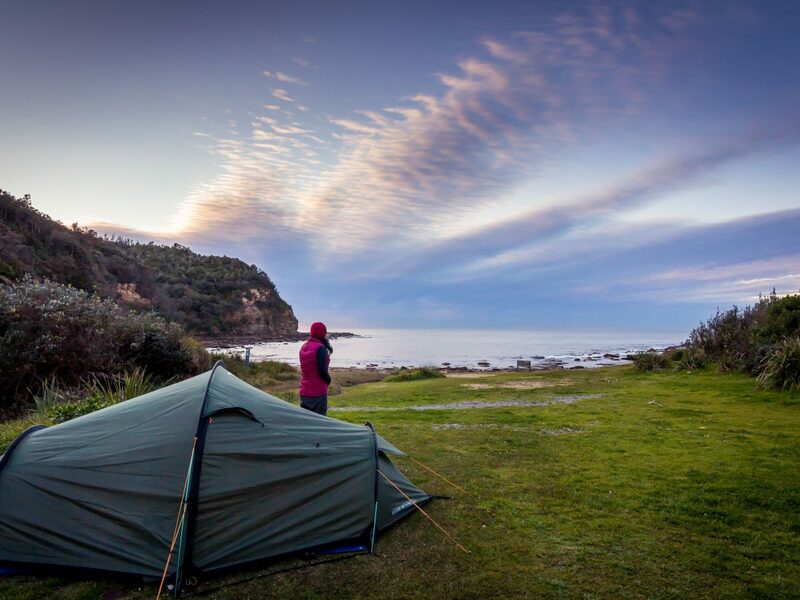 The cove at Little Beach campground is an ideal base for trips along the gorgeous Bouddi Coastal walk, one of the most rugged headlands in the state. Do a beach-crawl from Putty Beach to MacMasters Beach, and bring your board to take advantage of that early swell. Ranger Tip: Beaches in this park are not patrolled, and can sometimes have strong rips and currents. Read these beach safety tips to help you to stay safe in the water. 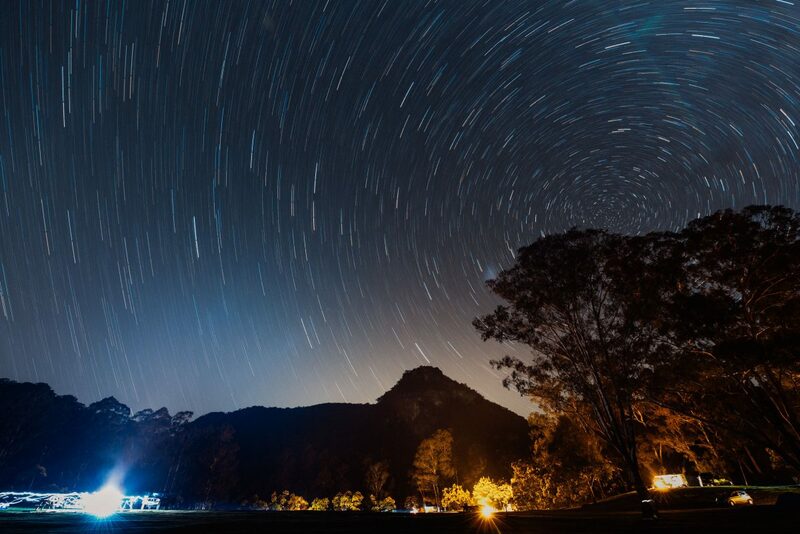 A tent under star trails in the National Park. 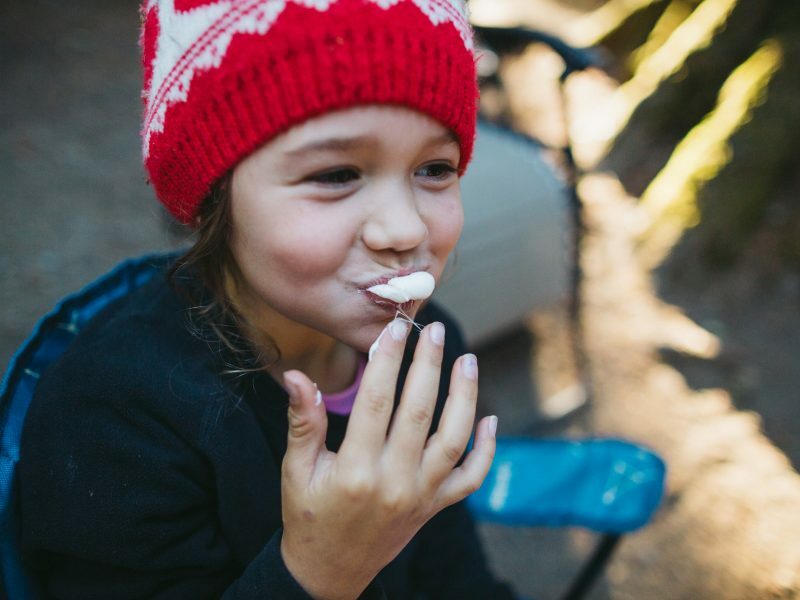 This campground’s so decked-out, even the most high-maintenance camper won’t whinge. Bents Basin, the primo watering hole that gives the park it’s name, is a safe and scenic pocket of the Nepean River, perfect for swimming, fishing, kayaking and bringing the fam. Take some food for the BBQ plus floaties and an inner tube, and snack and float the day away. Bliss. Pro Tip: To make your water adventures safer and more enjoyable, check out these paddling safety tips. 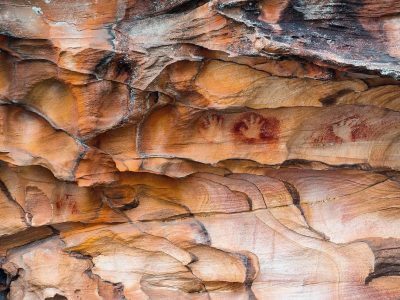 It’s not just the campground at Cattai National Park that’s impressive. 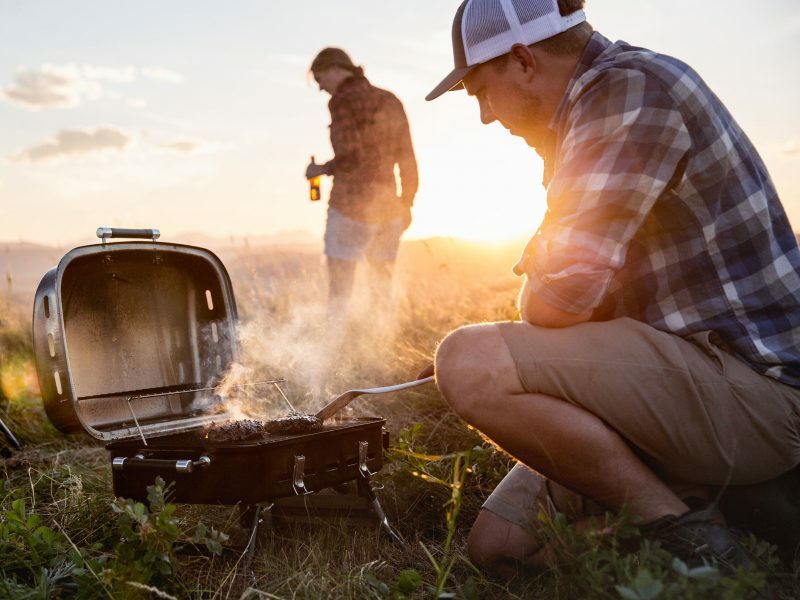 Though it has everything you need for a camping getaway – think grassy open spaces for biking and badminton, essentials like BBQs and facilities blocks (there’s even mobile coverage! ), inquisitive wildlife, and ribbons of beach. The major draw is the nearby historical site along the Hawkesbury River. Set up camp then go exploring the colonial buildings that have been there since the 19th century, then have a swim or do some fishing. 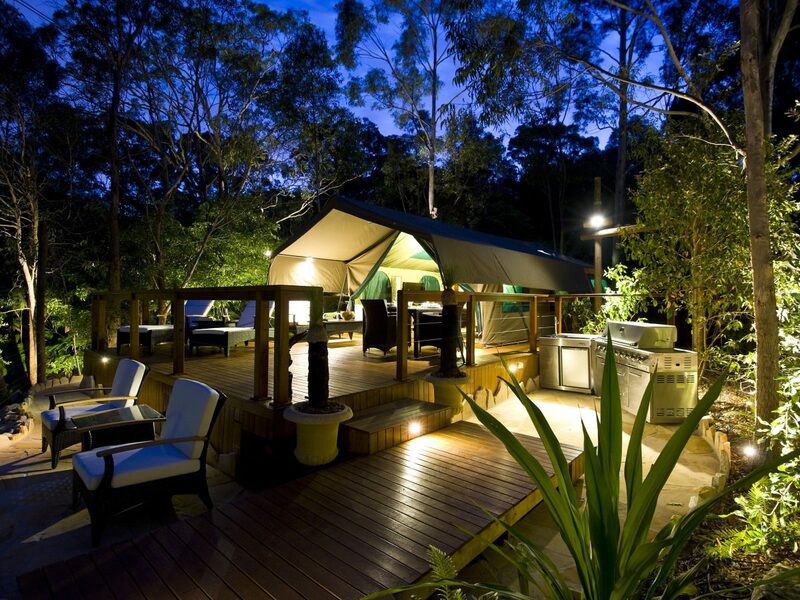 Tandara’s tent and deck in Lane Cove National Park. 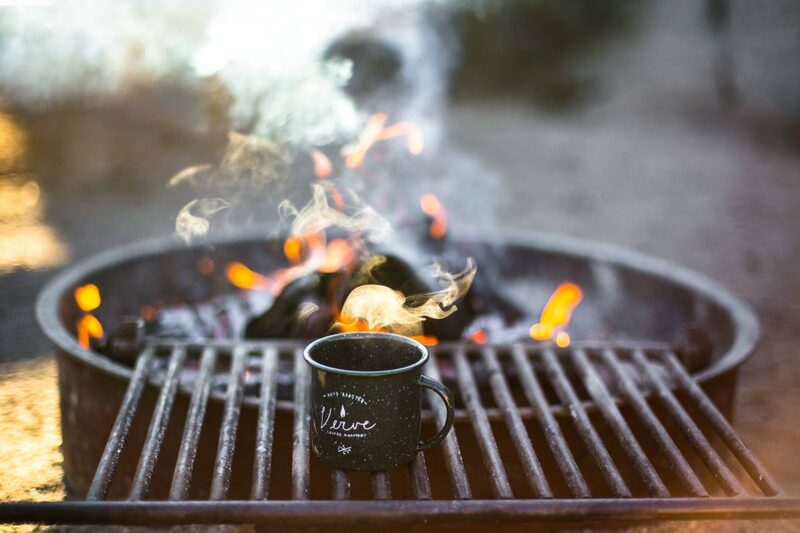 Is ‘glamping’ really camping? Who cares! Have you seen this place?! Tandara is one of the most luxurious camping options in the state: we’re talking an exclusive safari-style tent with your own deck (complete with lounge chairs and over-sized BBQ), king-size bed, plasma TV and DVD, and a slick bathroom with both bathtub and shower … so, it’s nicer than my own house. 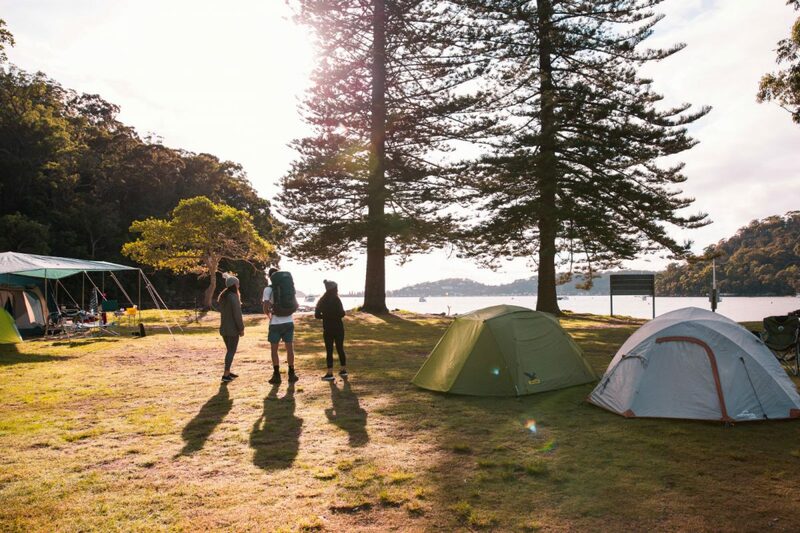 If you manage to leave the tent (it’s hard, we know), check out the water dragons, sugar gliders, tawny frogmouths and even endangered bandicoots scampering around outside your door. It’s only 10km from Chatswood, but it feels like the jungle.